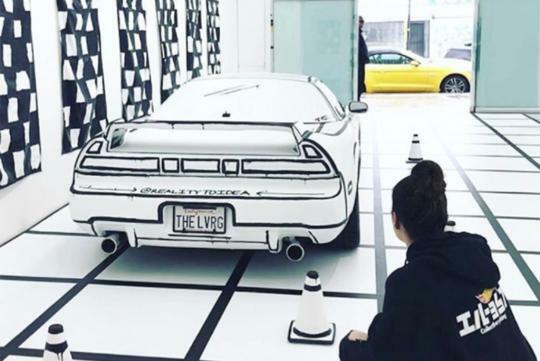 A Honda NSX was wrapped by an artist to create a sketch-like look for his art exhibit. 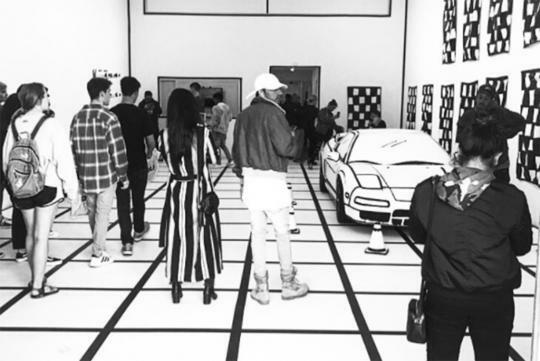 The exhibit the 1995 NSX is in is called “Reality to Idea" and was only closed recently. 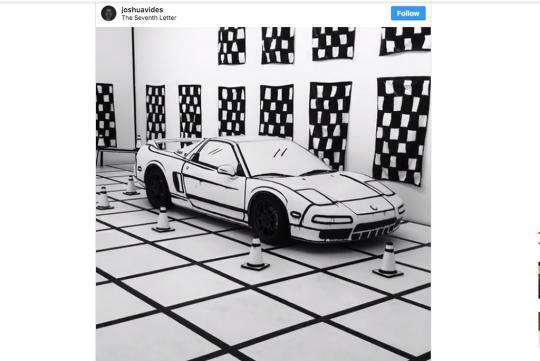 Done by a veteran artist known for making sneakers look like black-and-white sketches, Joshua Vides's work was displayed at Los Angeles and it features matching cones and chequered flags placed beside the Honda.